In this article, we will inspect Manic Panic Siren’s Song, and you can gauge whether you want to give this one a try compared to other colors. When we think of hair dye, one of the first things to come to mind is the brand Manic Panic. The brand especially saw popularity in the 90's during the grunge era for its funky colors. If you wanted a crazy color that lasted, you went to the Manic Panic aisle. 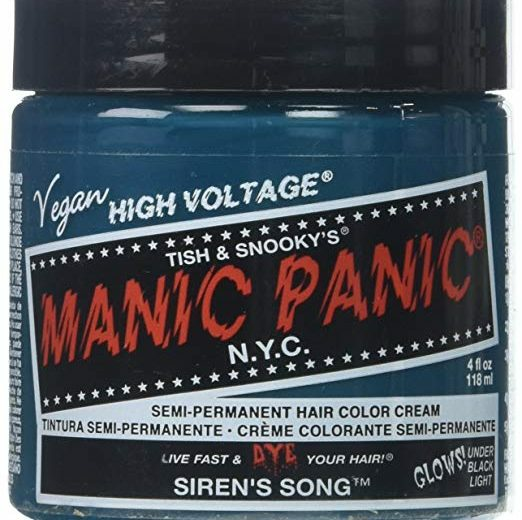 What is Manic Panic Siren's Song? Manic Panic began its journey in 1977 and was created by sisters Tish and Snooky Bellomo. Being native New Yorkers, and deeply involved in the New York Punk music scene, they soon found themselves performing at many of the East Village venues. They cruelty-free regularly at the famous club CBGB, singing backup for Blondie. They soon became more known and loved for their brilliantly colored hair. It wasn't long before the Manic Panic hair colors were born. Their vivid rainbow color dyes were one of the first of their kind. As mentioned before, the product really peaked in the 90s, and due to heightened demand, distribution of Manic Panic products expanded tremendously. Since that time, Manic Panic has worked continuously to make sure their formula remains the best on the market. The company really focuses on listening to customer feedback and staying ahead of the trends by starting them. Manic Panic has been mentioned in many documentaries, crediting them for beginning what would become a trend and now the acceptance of men and women wearing more outrageous colors. Manic Panic has received numerous mentions in publications such as Interview, Vogue, Teen Vogue, Cosmopolitan, Nylon, Elle, The New York Times, The New Yorker, W, and Rolling Stone. Tish and Snooky continue to perform as musicians. They are the extended part of Blue Coupe, a band composed of original members of Blue Öyster Cult, along with Rock-and-roll Hall of Fame inductee and original Alice Cooper bassist, Dennis Dunaway. Manic Panic Siren's Song is a vibrant blue-green shade that can make anyone feel like a mermaid or merman. What is really unique about this Manic Panic color is that it glows under black light. For best results, you should bleach your hair first. 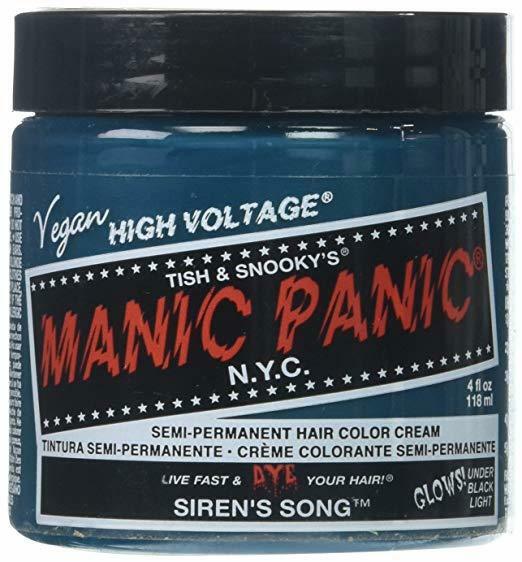 Like many of their other products, Manic Panic Siren’s Song is a semi-permanent hair color. Good news for vegans, the formula is cruelty-free and vegan. Manic Panic Siren’s Song can also condition the hair as well. On the Manic Panic’s website, Siren’s Song retails for around $. However, you can sometimes purchase the color for less at other sources. For example, Amazon charges around $ and Walmart’s price is around $ as well. Remember that if you buy online, you will also have to pay for shipping. Arctic Fox was founded in 2014 by model Kristen Leanne. 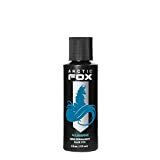 Arctic Fox is one of the fastest growing hair color lines in the world. Kristen has had a long love affair with bright, vivid hair colors. But the model was daunted by the unavailability of certain colors. So she set out to change that. Arctic Fox contains no drying alcohols, PPDs, or harsh chemicals. The company spent two years of research and development to formulate a color that is highly pigmented, bleeds less, and won't stain sinks. Arctic Fox is also formulated to fade within the original color spectrum, so as the color fades, the shades will continue to be the gorgeous tones that you wanted. One perk that Arctic Fox has in common with Manic Panic is that it can also condition your hair. This vegan, semi-permanent dye brand is also long lasting and contains added non-GMO protein conditioners. Arctic Fox is also free of ammonia and peroxide. These dyes are designed so that they smear and bleed less, which is something that it has over Manic Panic. Another huge draw is that for every 15 percent of profits donations are given to help with animal abuse prevention. Lime Crime is known as a digital-first makeup and hair color brand. Founded by makeup visionary Doe Deere in 2008, her mission is to create products and experiences that transport you to a magical world where you can express yourself unapologetically, experiment with every color of the rainbow and escape from looking like everyone else. 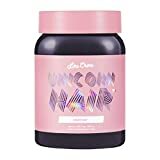 Their award-winning Unicorn Hair Color is designed, manufactured, and assembled in Los Angeles and uses globally sourced ingredients for high-performance wear and high color pay-off. Certified as a vegan and cruelty-free brand by both PETA and Leaping Bunny, Lime Crime's products and all of its ingredients are never tested on animals. Despite all of this, Lime Crime has actually stirred up a lot of controversies. In 2008. Doe Deere, legally known as Xenia Vorotova, was just starting out her online business. She was a popular user on Livejournal where she was first introducing her products. She had already managed to make a few enemies by threatening legal action against a 13-year-old over photo credits. But this didn't make too many waves yet. A scandal broke out a few months later when Lime Crime was accused of repackaging products from other companies. The company denied the claim but was under fire for not providing any evidence. Even more, scandals are involved with this company. Look it up at your own risk. Lime Crime's unicorn hair color line is gentle and won't damage your hair. Like Manic Panic, it comes ready to use. However, it differs by not requiring a toner or developer. It washes out after several shampoos, so if you don’t like the color, you won’t have to have it for too long. Lime Crime provides two formulas: tint, which is lighter and will only show up if you have blonde or light hair, and full coverage, a more pigmented range of shades that can work in most hair colors. With over 30 years of experience, Jerome Russell, maker of Punky Colour, is a world leader in the hair color industry. Their products contain the highest quality ingredients. Acid dyes are never used since these can stain the scalp and cause color bleed on clothing and bedding. The company is cruelty free and does not test on animals. A major force in the U.S. market, Jerome Russell products are in thousands of beauty and retail outlets throughout the United States, Canada, Mexico and internationally. Punky Color will give you outrageous color on bleached and even chemically treated hair. For darker shades of hair, it can create a brilliant highlight effect. The directions are as follows. Shampoo hair and dry. Use petroleum jelly or baby oil around the hairline and on ears. Use rubber gloves and apply color evenly from hair roots to ends with a tinting brush. Comb through. Leave on for approximately 15-30 minutes and then rinse out. Do not use in the eye area. Avoid contact with skin or clothing as staining will result. Before we give Manic Panic Siren's Song an overall rating, please remember a few things when dying your hair. 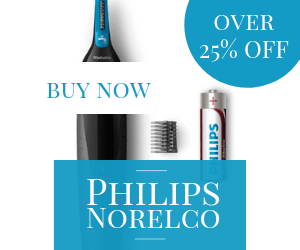 First, many things can cause your hair to fade. Hair color can fade faster in the sun, as well as when you don't use a shampoo and conditioner combo for color treated hair. Due to this fact, there is no way to avoid getting touch-ups, and since hair grows about 1/2 inch every month, you'll at least have to get your roots redone every 6-8 weeks. Use a clarifying shampoo before you dye your hair. Clarifying shampoo strips your hair of buildup. If you use it on color-treated hair, it'll cause your color to fade. If you use it before you apply the dye, though, it will give you a nice, clean surface to apply your color and will help your shade last longer. Your hair health affects the outcome of your color. Damaged hair won't accept color like healthy hair does. If you've been skimping on your cuts, get a quick trim before you color to get rid of any damaged strands. Otherwise, you won't be seeing much color payoff. Make a hair coloring kit if you're DIYing. Set up a workstation before you start with a wipe, comb, and a couple of towels (one for around your neck, one for your workplace). This will help prevent staining. If for some reason you hate your DIY job, don't panic, a trip to a salon can more than likely fix it. When we really take a hard look at these products, they are actually quite similar. They do many of the same things and share many of the same features. It may just come down to what qualities you prefer in your brand. With Manic Panic, you’re paying for a well-known trendy “90s era grunge style” dye. So it may be like buying “street cred” as well. Even celebrities of today have jumped on the Manic Panic bandwagon. For example, Jared Leto began dyeing his hair with Manic Panic's ‘Red Passion’ Classic Crème and posting pictures on his booming social media channels as early as 2010 and later appeared in Vogue with Manic Panic hair. When his role as the Joker came about for 2016’s Suicide Squad, Jared’s team came straight to Manic Panic for his signature green as well as for Margot Robbie’s blue and pink pigtails as Harley Quinn! Jake Gyllenhaal also recently told W he wouldn’t have pursued acting had Manic Panic not “gone to his head” when he was younger. However, Manic Panic is also well known for its brilliant color pay off and a wide range of shades as well. When it comes to hair shade options, few have Manic Panic beat. This brand gives you an incredible 51 shade options. Their lines range from watercolor pastels to intense "High Voltage" hues, like Rockabilly Blue and the aforementioned Manic Panic Siren’s Song. Overall, with its status as the original colored hair dye and the features it possesses, we give Manic Panic Siren's Song 5 out of 5 stars. With its celebrity street cred, positive reputation, punk rock background, and great color payoff, it really is a hard brand to beat.